The word ‘Hatha’ is often put before the word yoga to describe yoga practice. The word ‘Hatha’ when broken down means sun and moon Ha meaning Sun, Tha meaning moon. This is because yoga practice is all about balancing these energies within ourselves. The sun energy being solar, heating, invigorating, outgoing, powerful, strengthening, masculine, etc. The moon energy being lunar, cooling, introverting, reflecting, calming. We all contain these aspects within ourselves. Some days we may feel more solar, outgoing, energised other days we may feel more introspective, our energy may be low and we may want to retreat from the world. Yoga practice is all about balancing these energies and therefore some poses are more solar such as backbends which strengthen the body require more effort as they require working against gravity to open the body up to the world. Backbends also have a psychological affect where they help you to open yourself up to the world and be more extrovert and outgoing. Similarly forward bends are lunar, they cool and calm the body down and are more introverted as you turn yourself away from the world towards your body to look within. You can also use this sun/moon concept together with Ayurveda, the Indian science of yoga to work towards helping ailments. In Ayurveda it is stated that there are three main elements in the world – fire, water and air, and that we are made up of primarily two of these elements. Ailments that are of an inflammatory nature generally fall into the label of having too much fire in the body. Therefore some inflammatory conditions can be alleviated by practising cooler ‘lunar’ yoga poses. 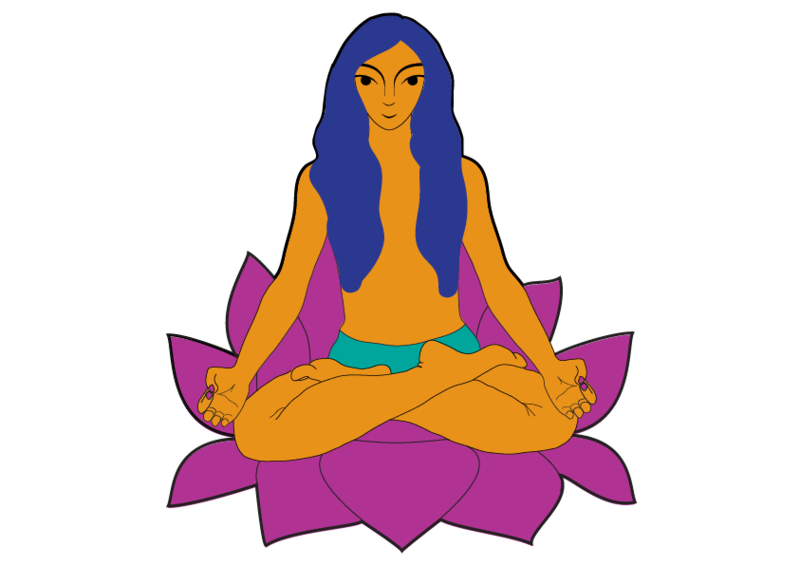 Conditions that may be in their very nature an imbalance of the lunar energies within the body such as depression can be helped by doing more solar invigorating yoga poses such as the sun salutations. I love Ayurveda and the topic of the elements within the body and how dis-ease can be related to them. I’m sure I will be posting much more on this subject!